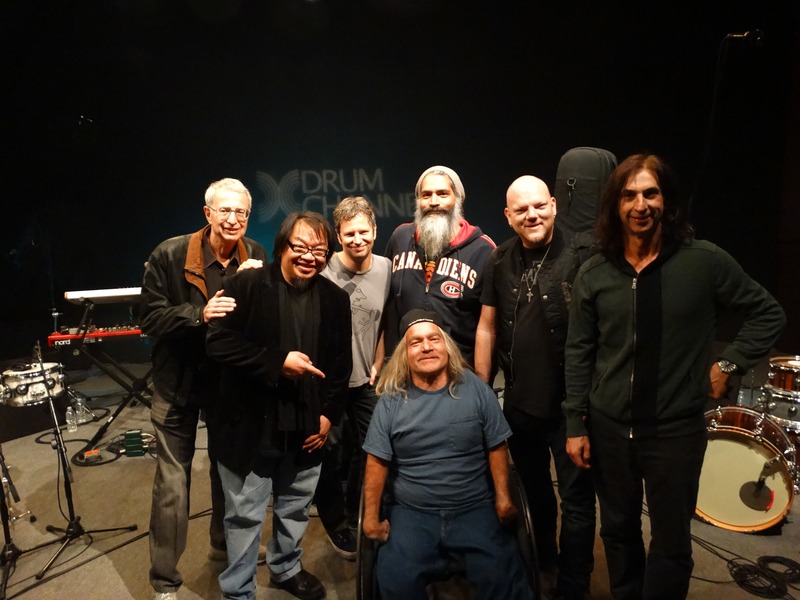 It’s always cool to get to hang out with the world’s greatest drummers. 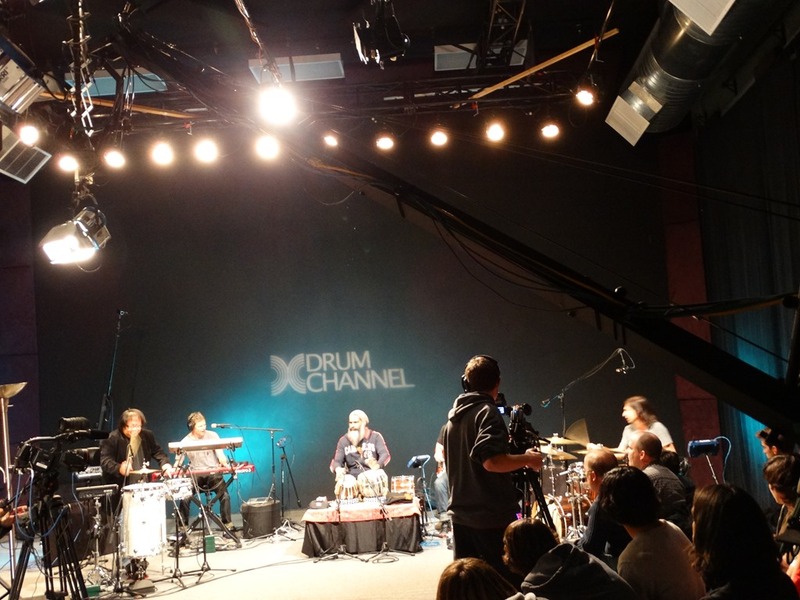 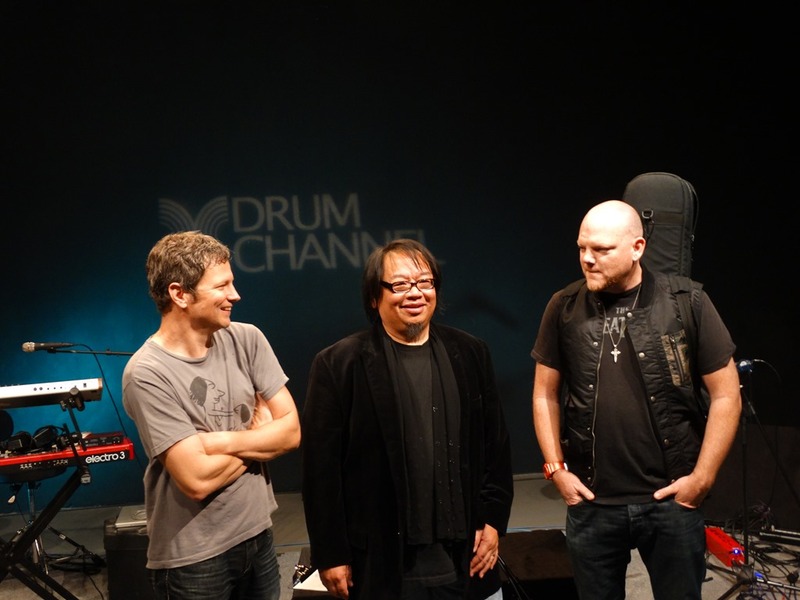 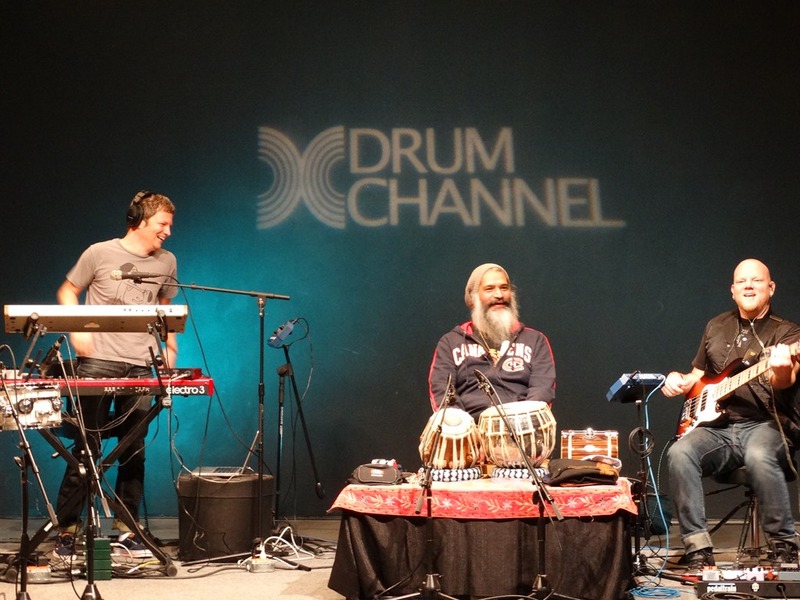 This was the 165th Drum Channel show and is now simulcast on their YOUTUBE channel and via all mobile devices. 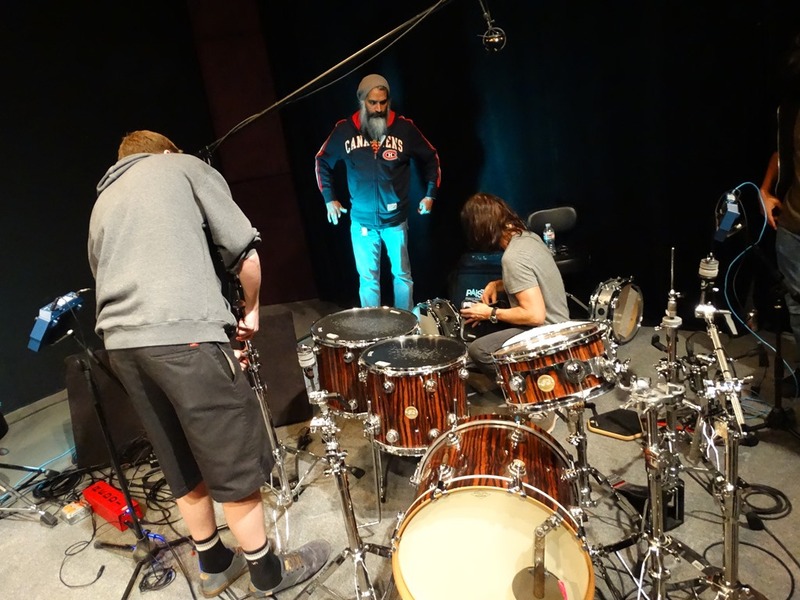 “Galactic Booty Co.” is a new band that features three drummers did sound track work for “Man of Steel“. 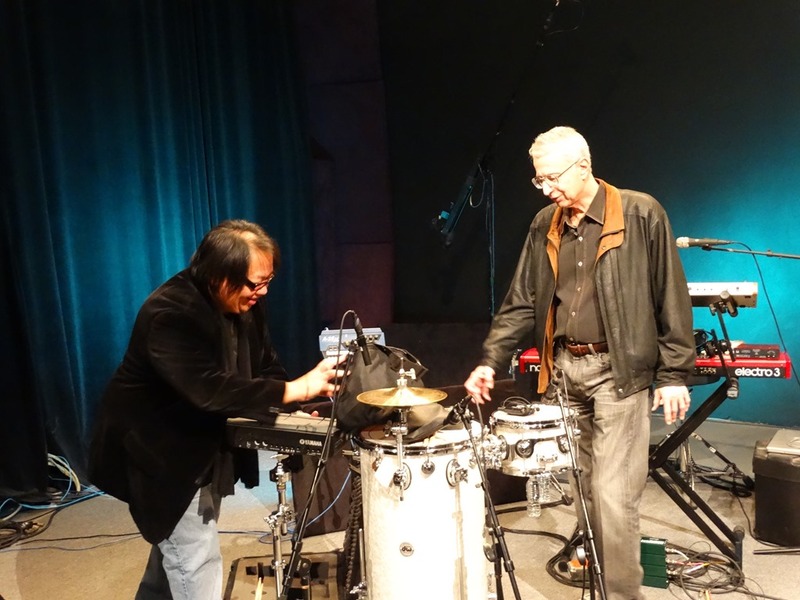 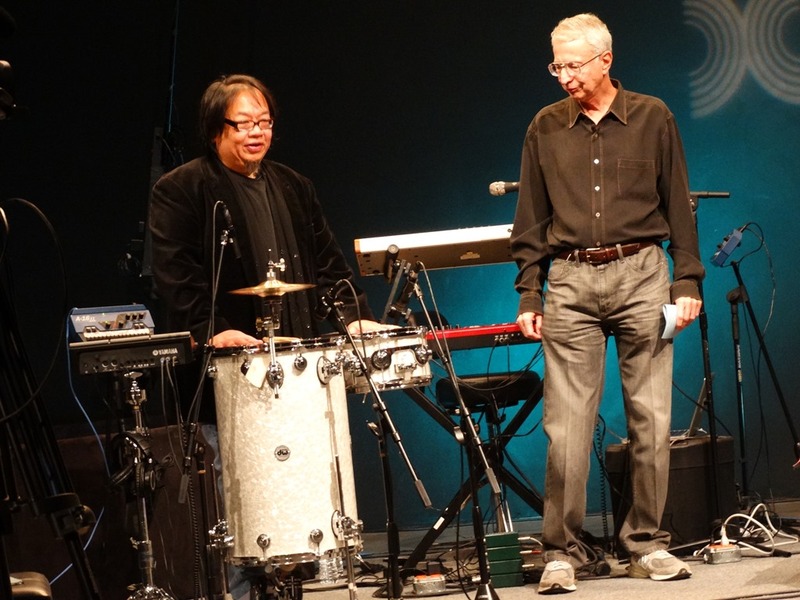 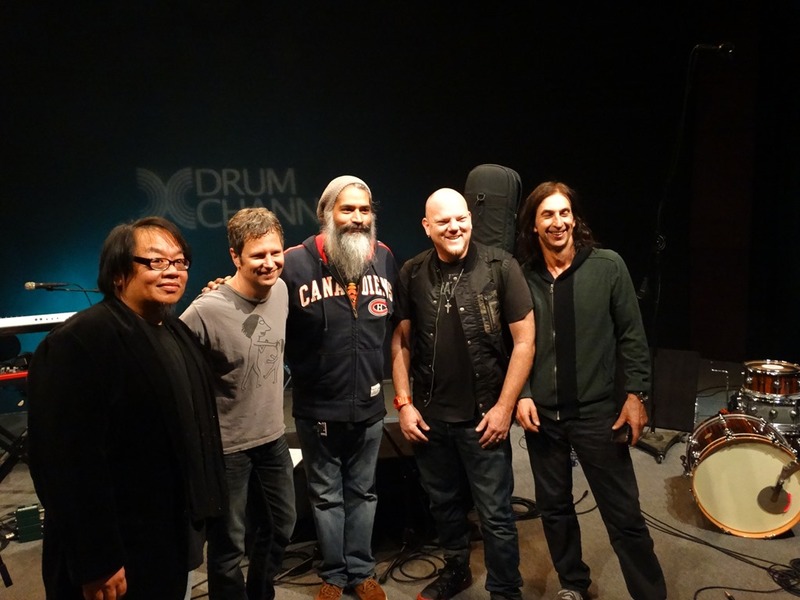 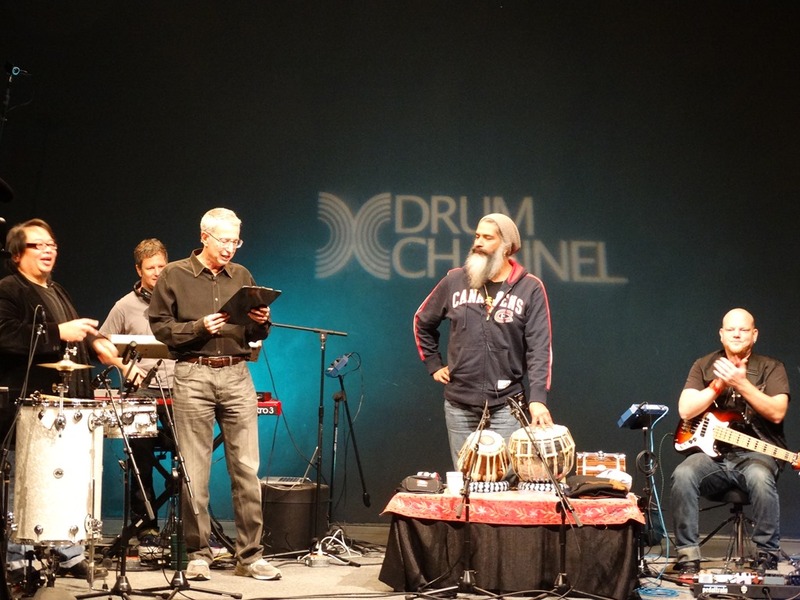 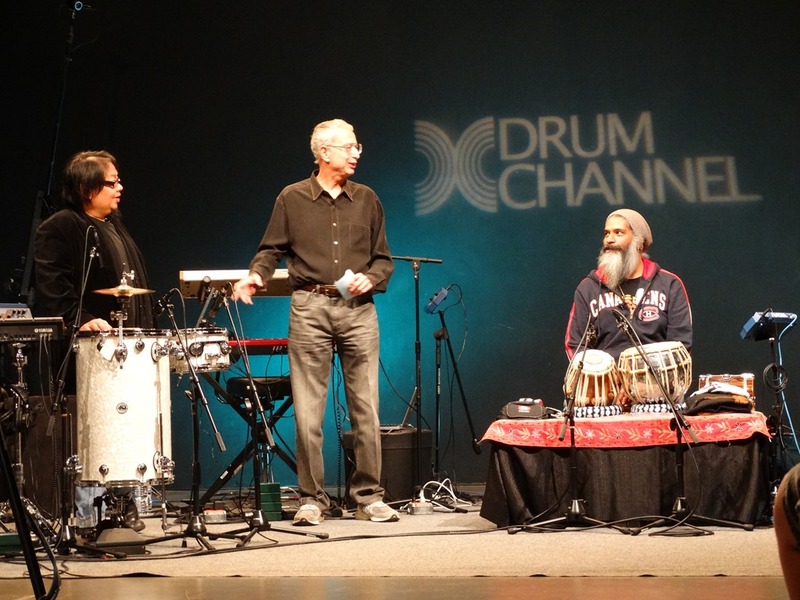 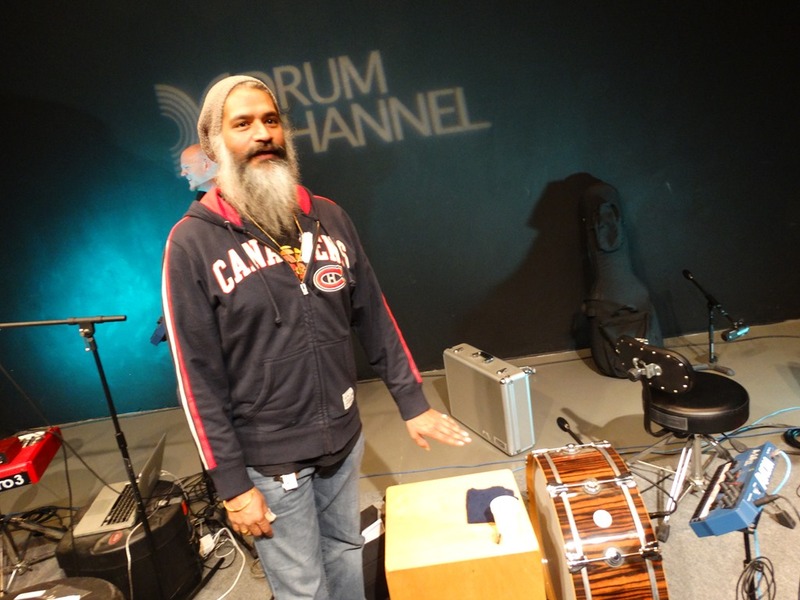 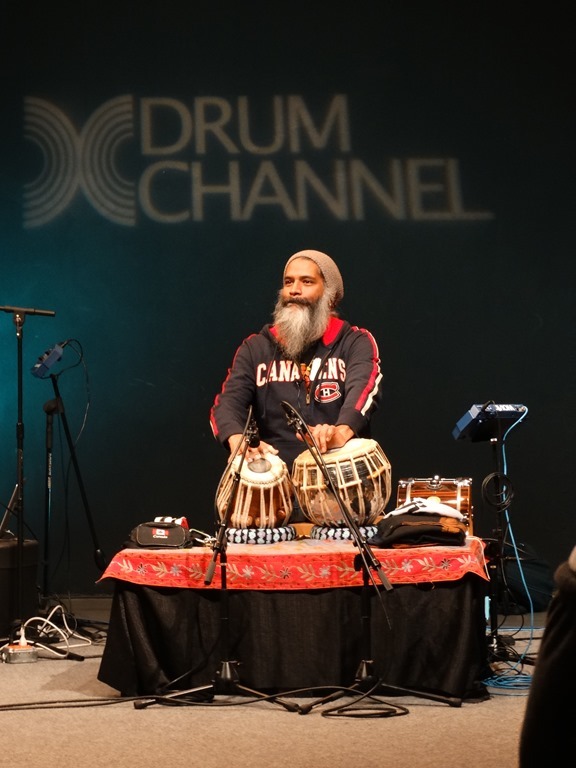 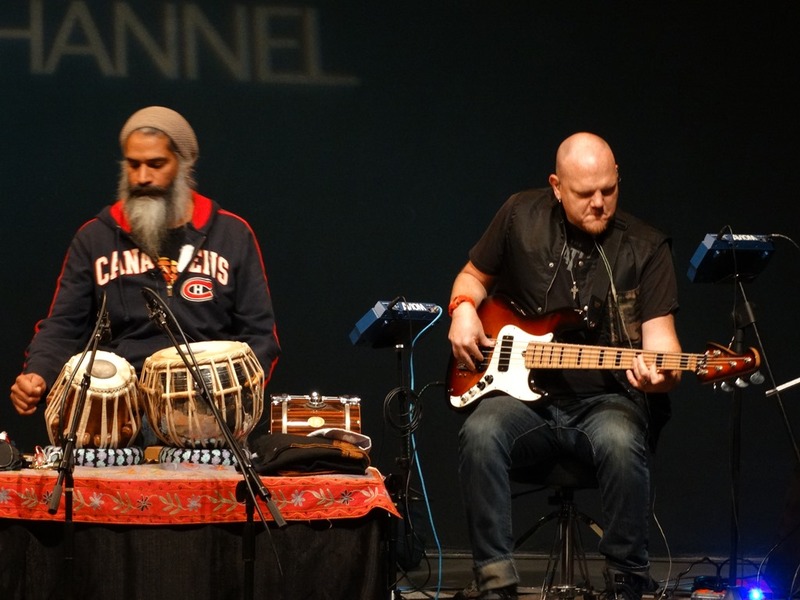 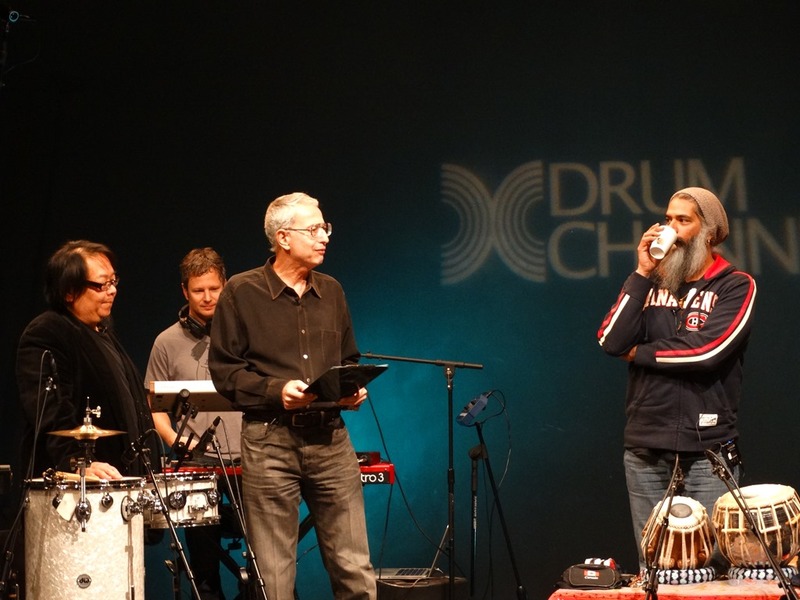 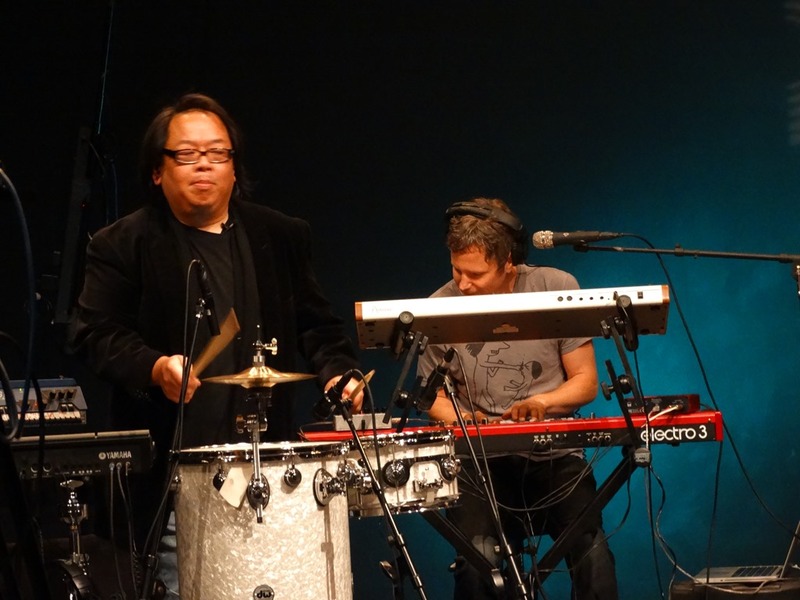 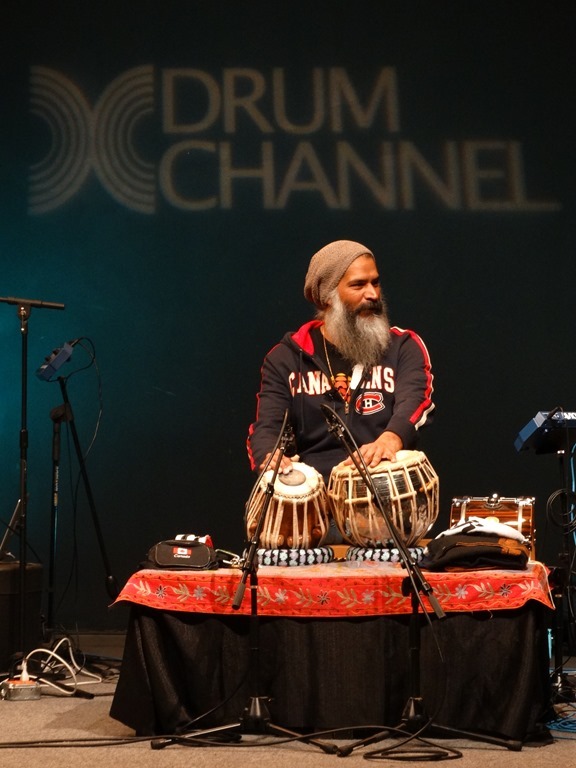 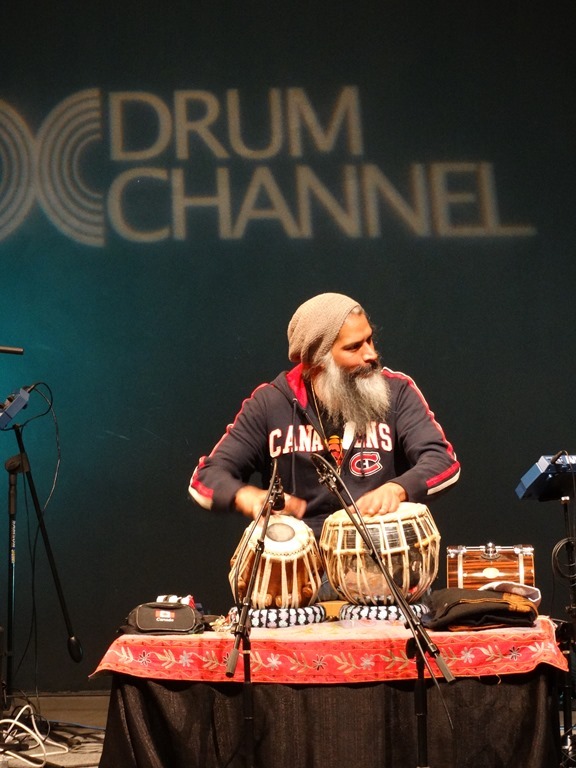 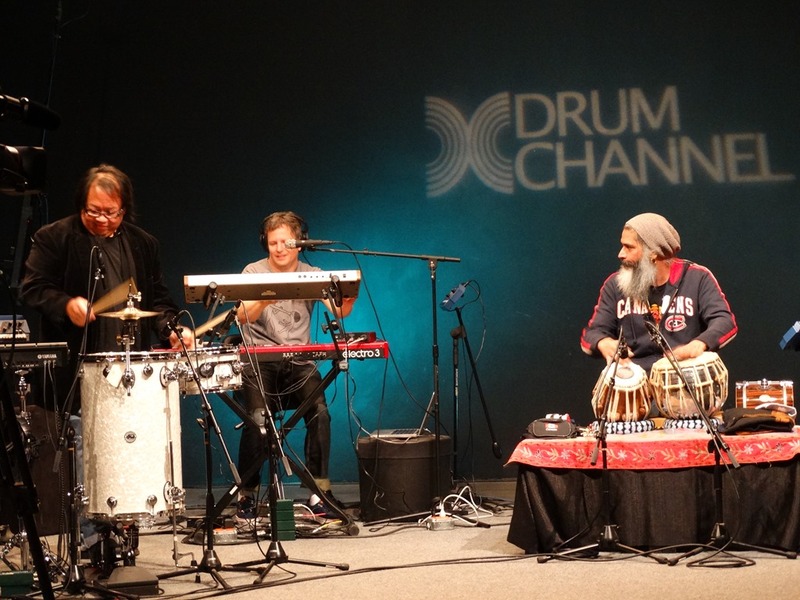 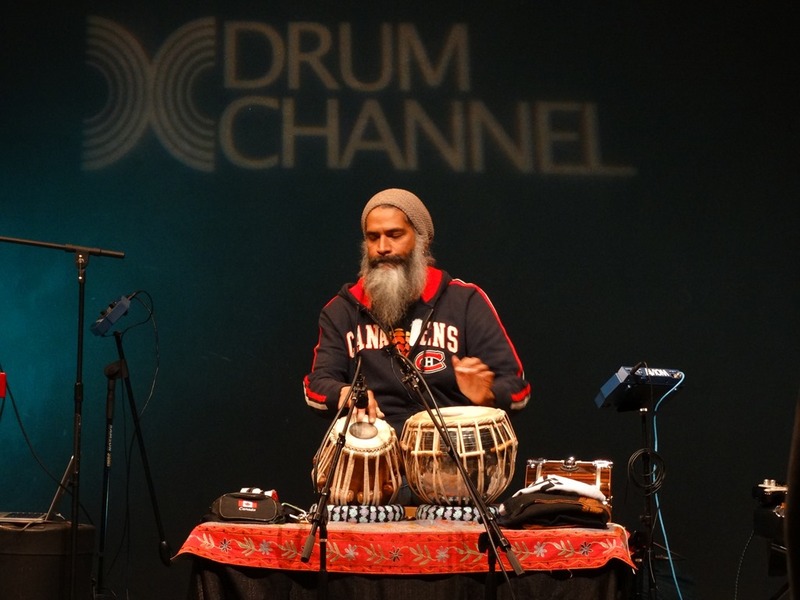 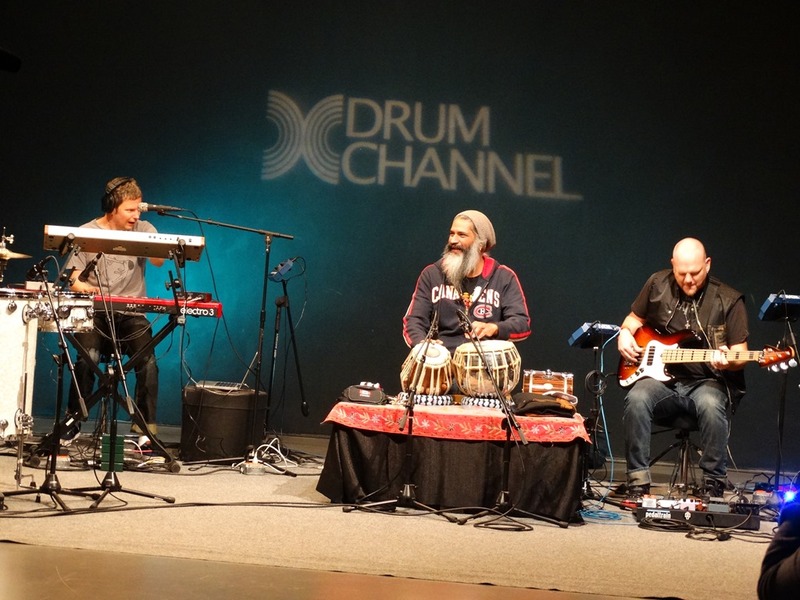 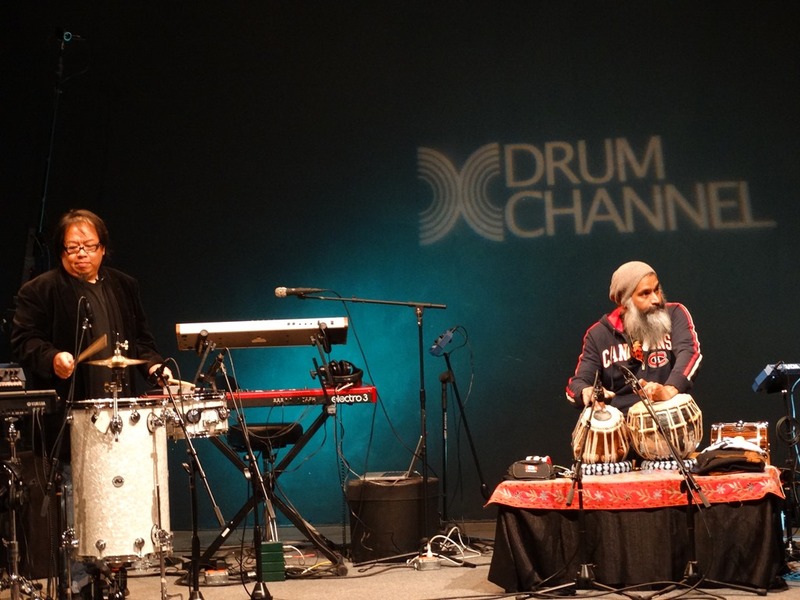 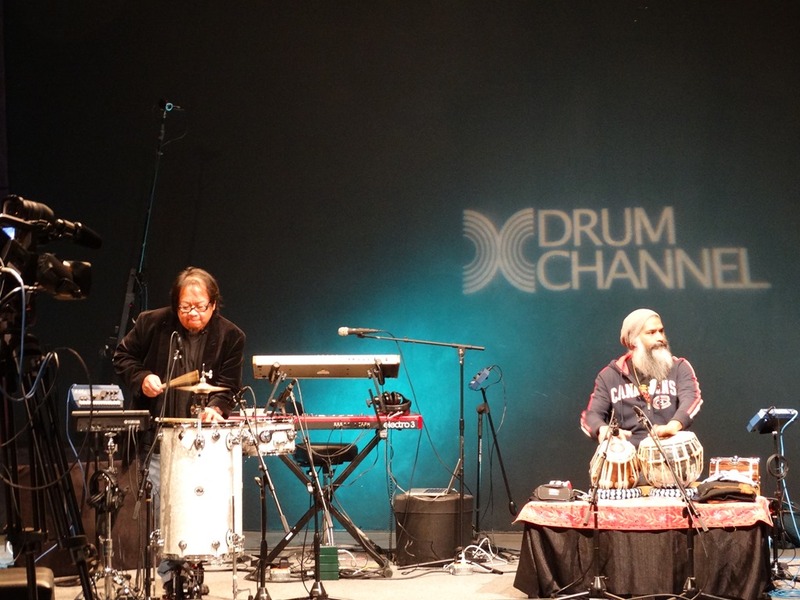 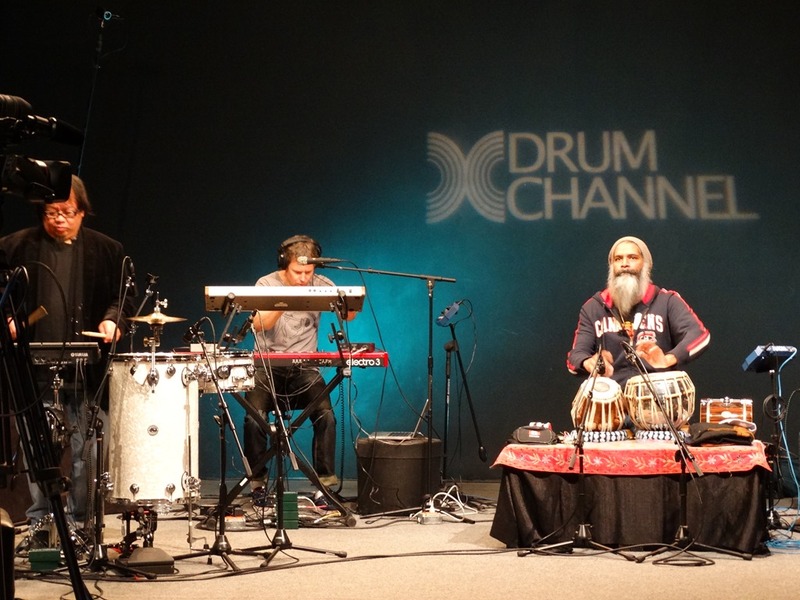 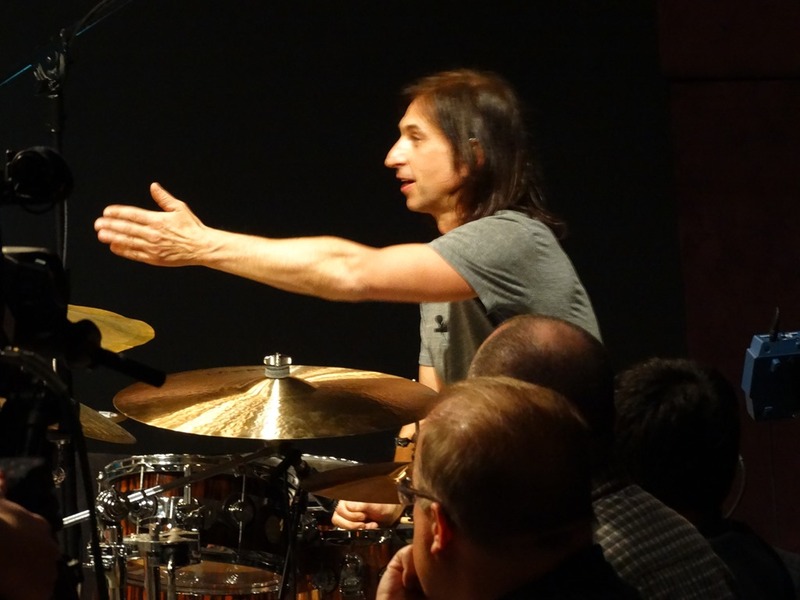 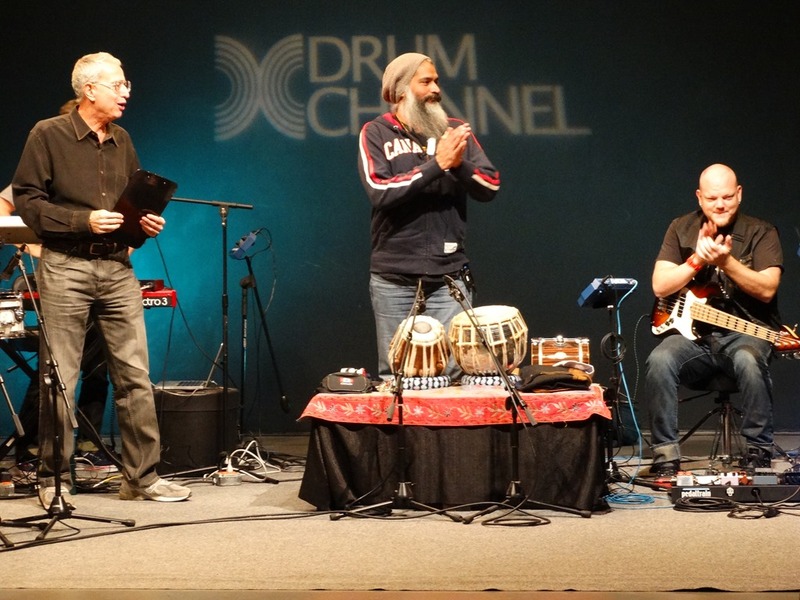 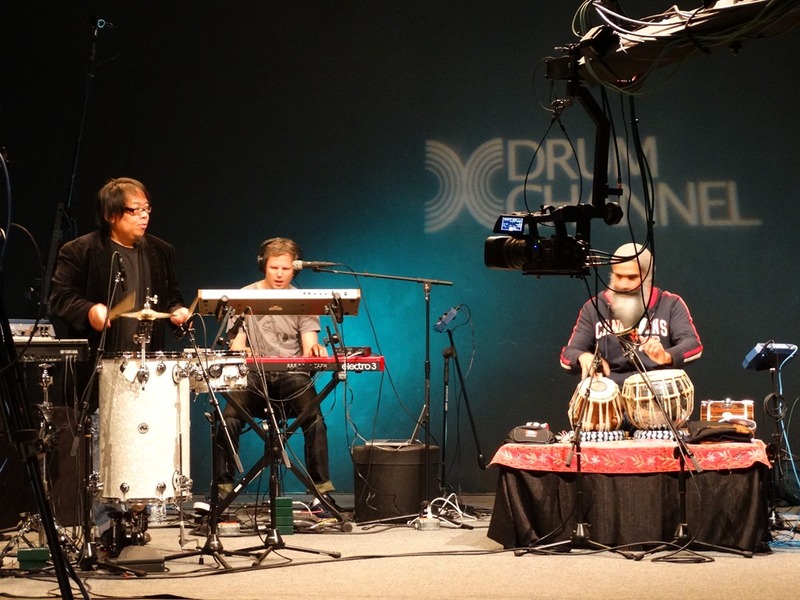 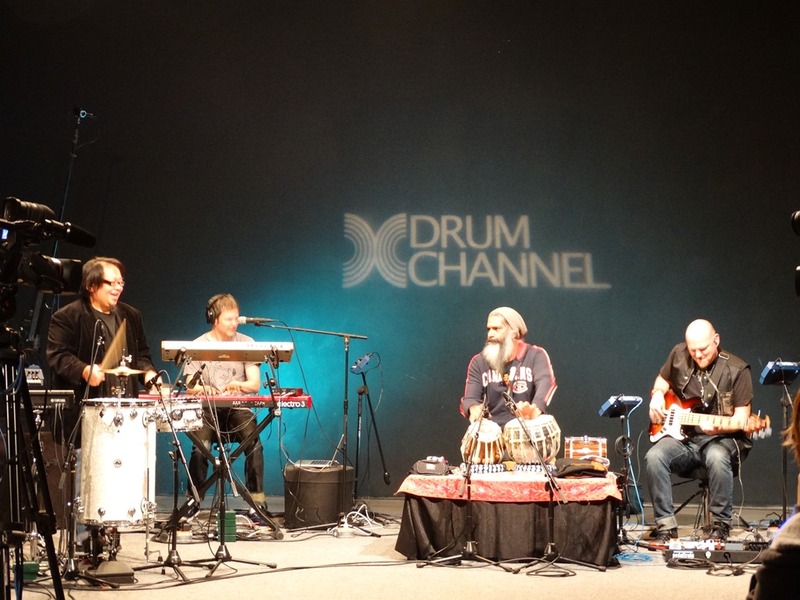 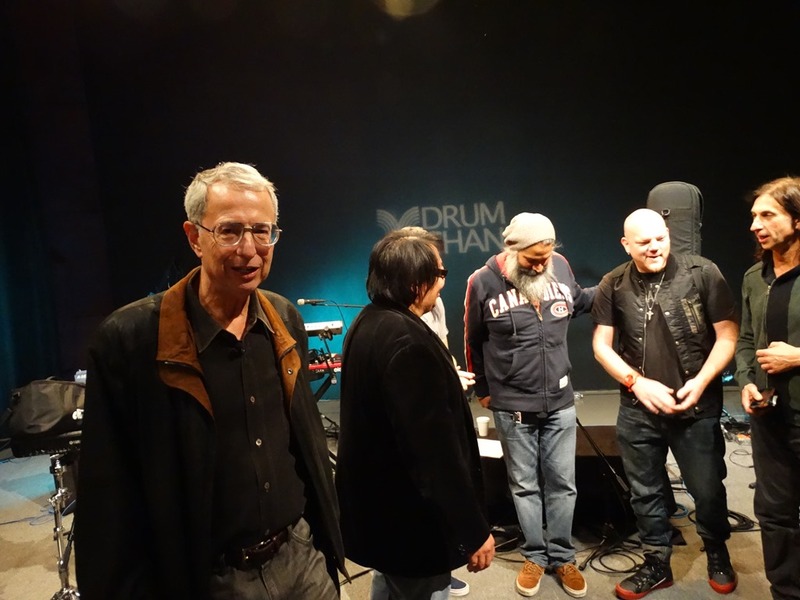 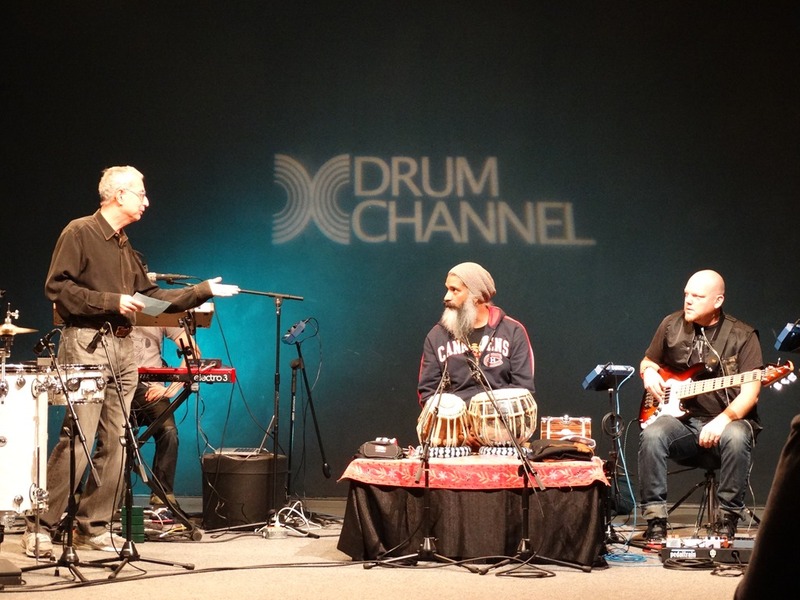 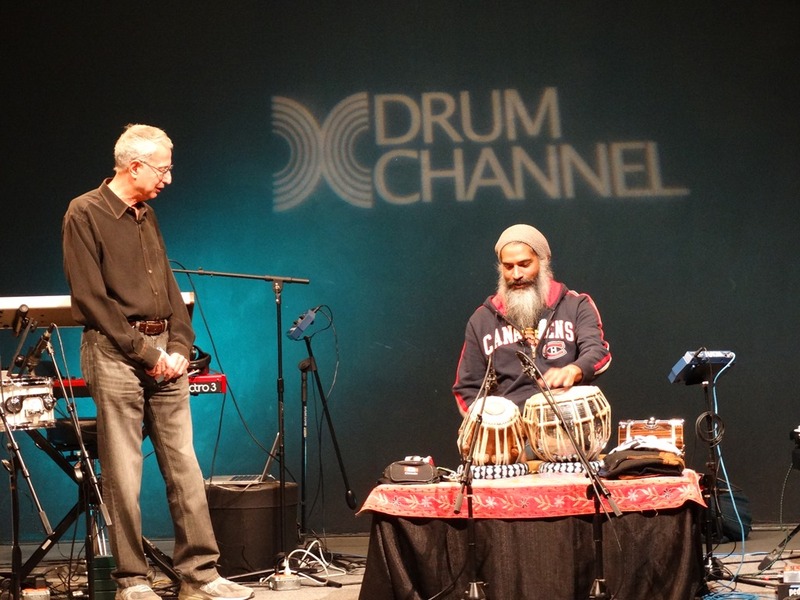 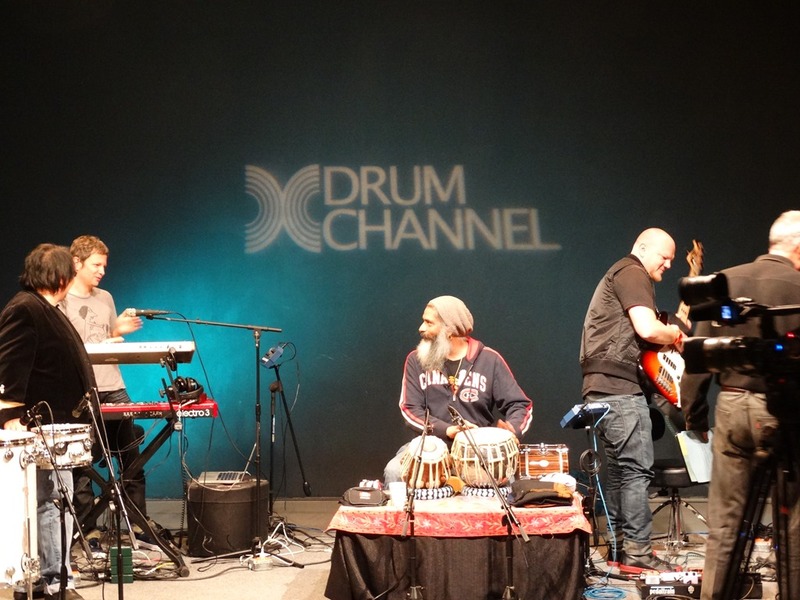 The band consists of Curt Bisquera, Toss Panos, and Satnam Ramgotra – three truly remarkable drummers. 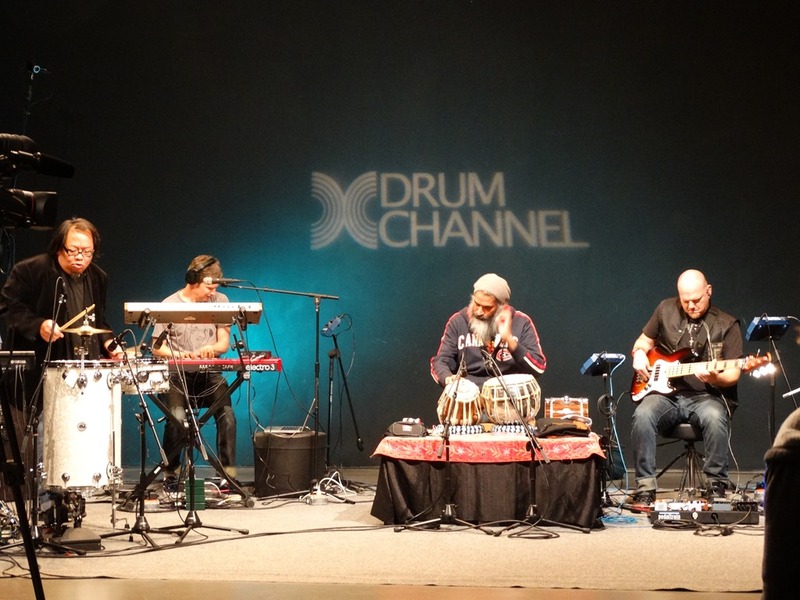 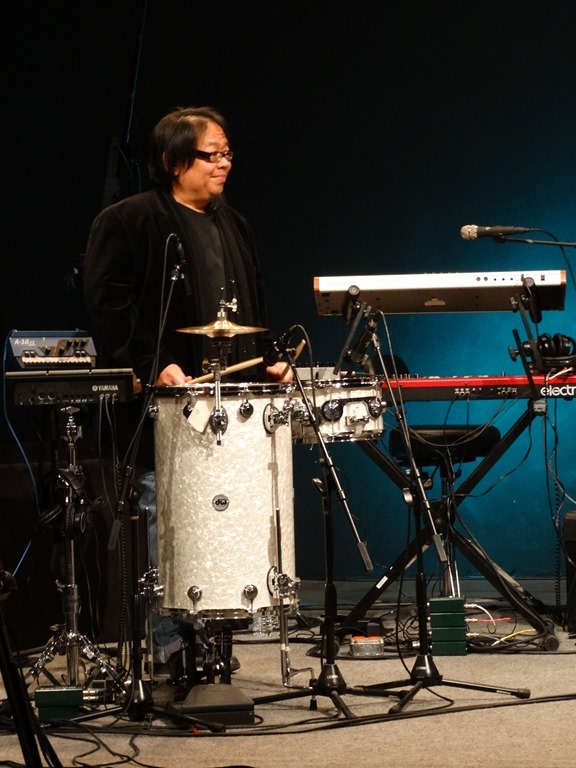 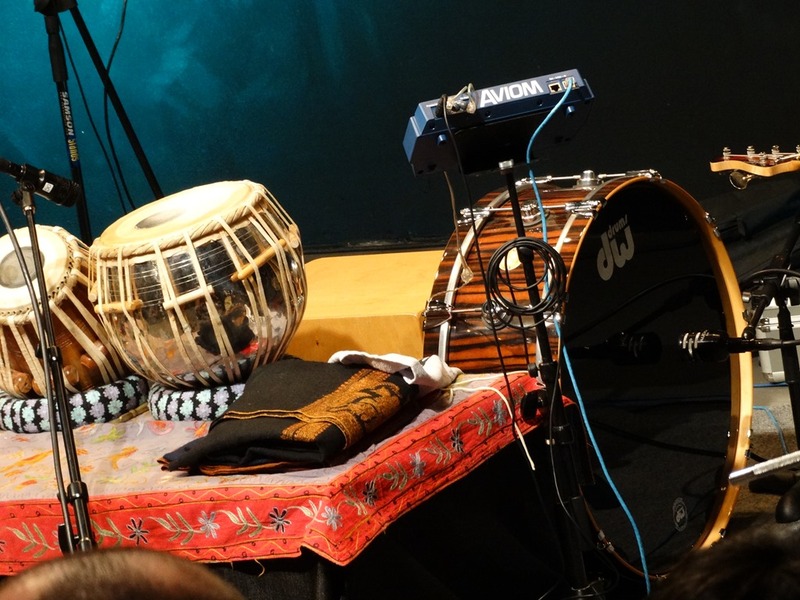 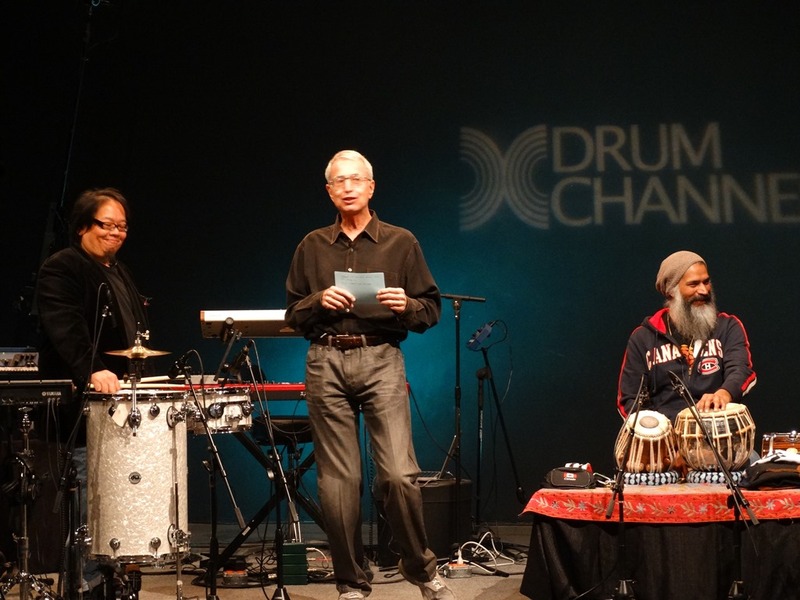 They started off playing as a trio with “Kirkee B” on a cocktail kit, Toss Panos on a traditional DW kit, and Satnam Ramgothra on a tabla, cajon and a DW woofer (Satnam credited Toss with the set up). 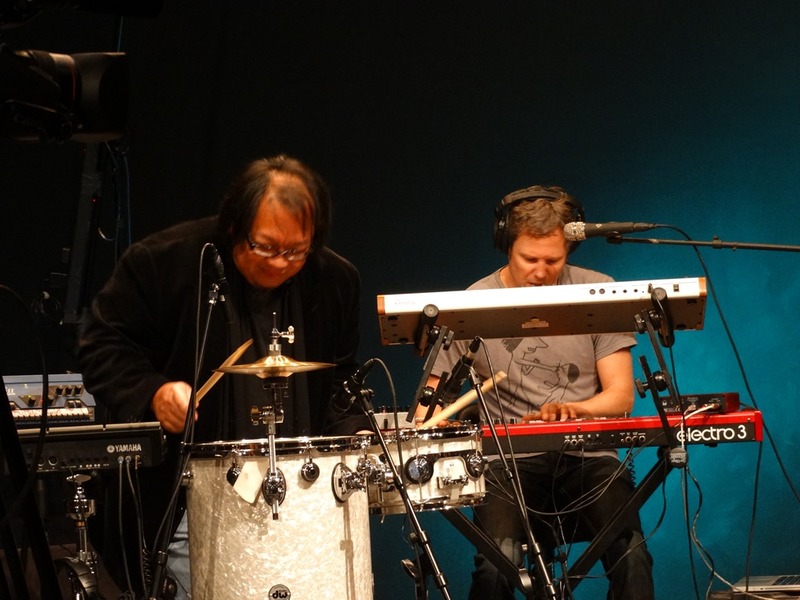 The first song was just drumming and then the Galactic Booty Co. was in full effect when they were joined by Matt Rohde on keyboard and Dan Lutz on the bass . 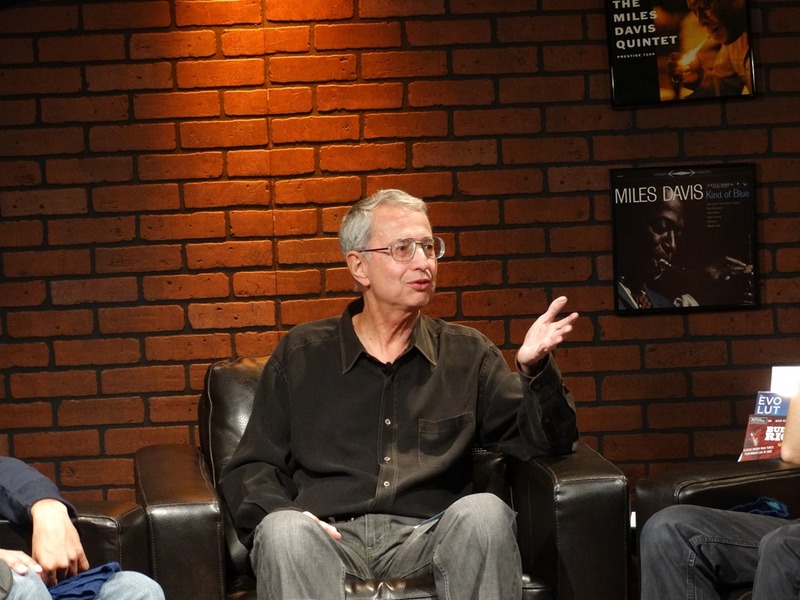 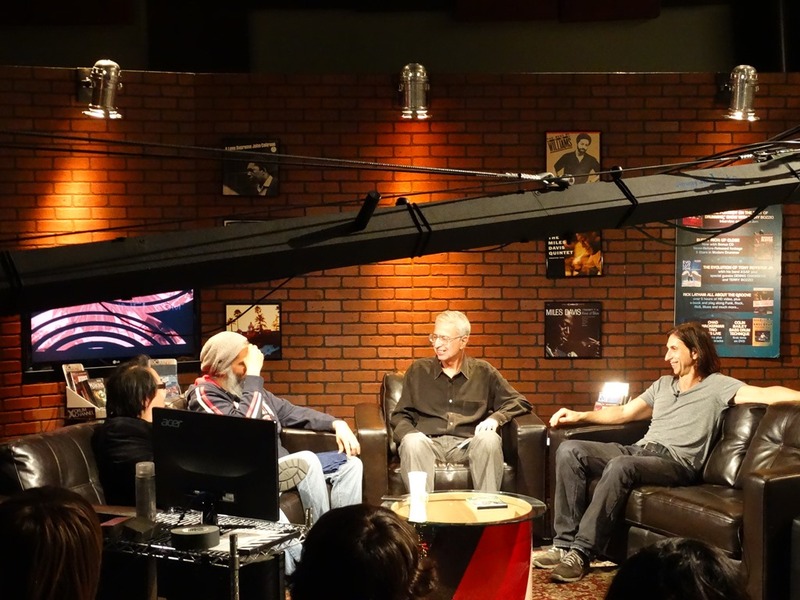 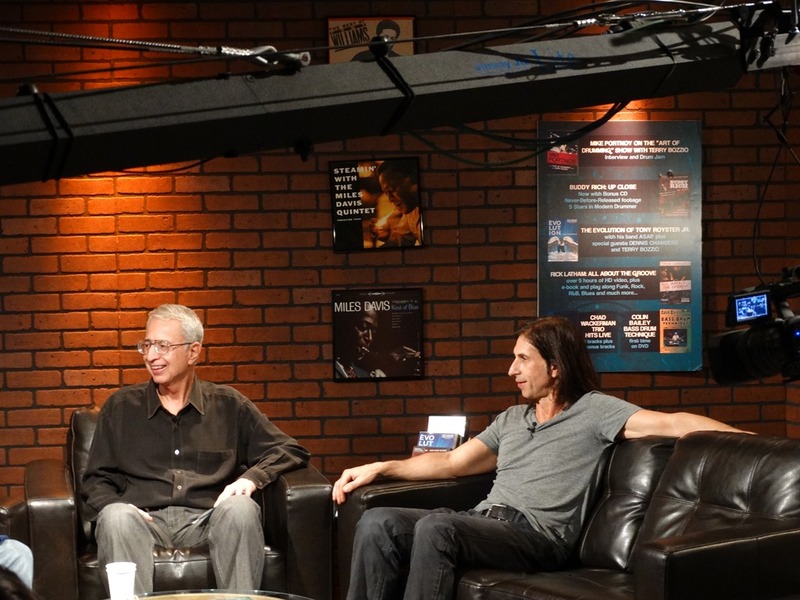 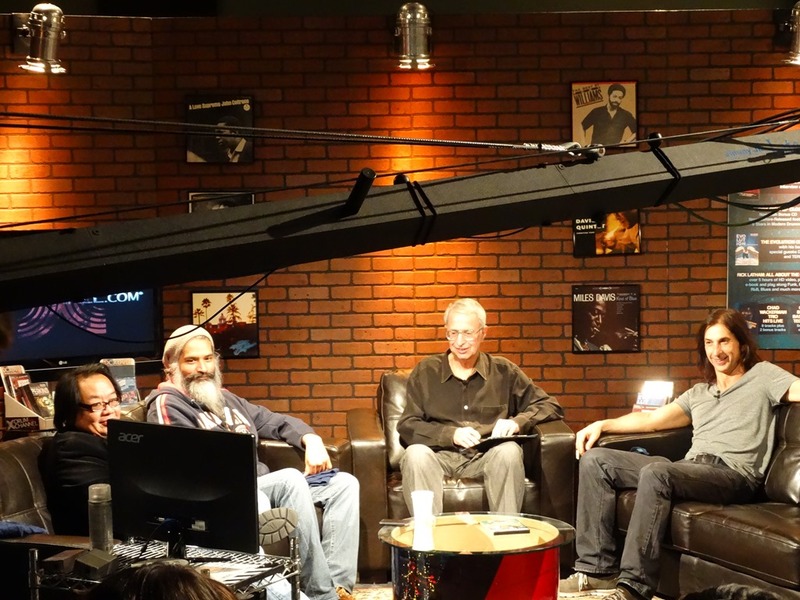 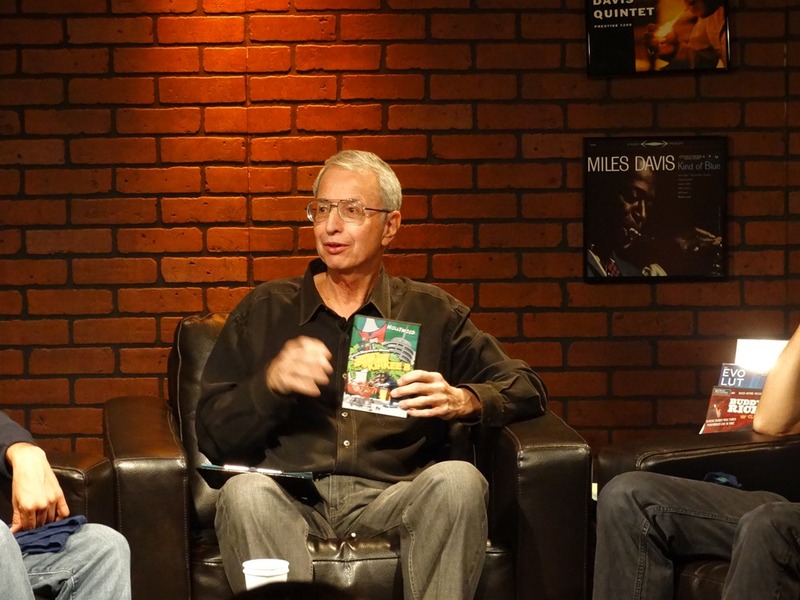 The drumming trio was also interviewed on the couch by Don Lombardi, as they discussed their friendship, their band, working on the Man on Steel soundtrack with Hans Zimmer, the fact they all attended PIT, they shared drumming stories, discussed auditions and more. 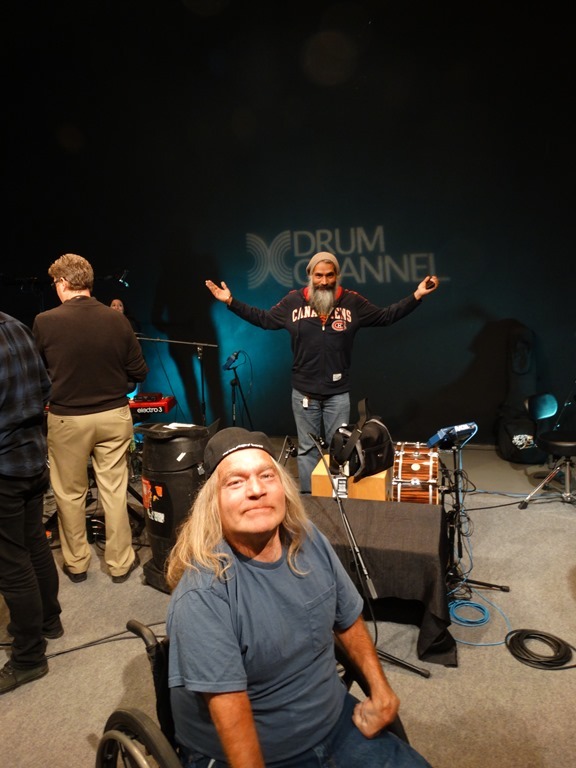 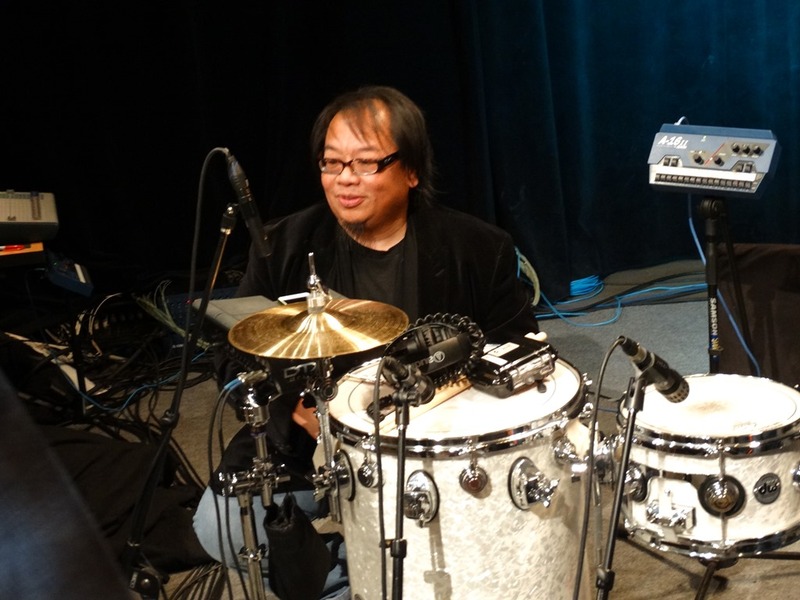 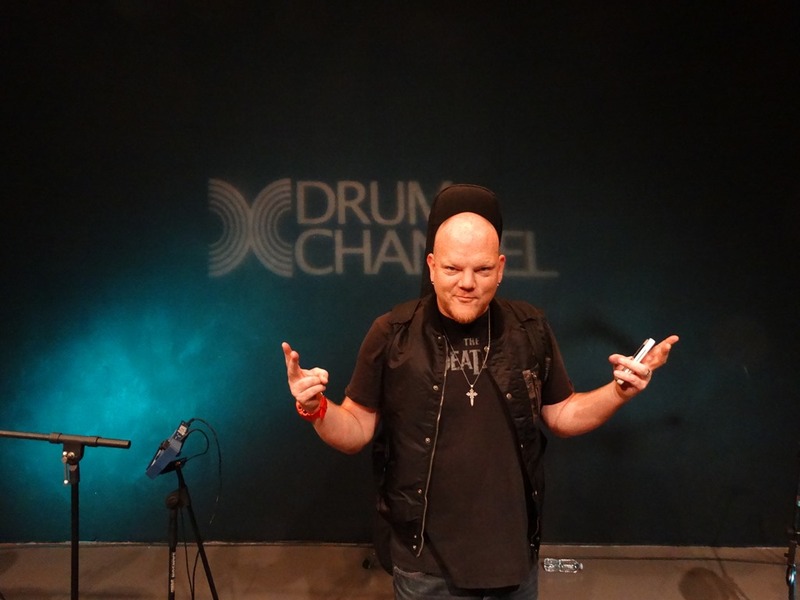 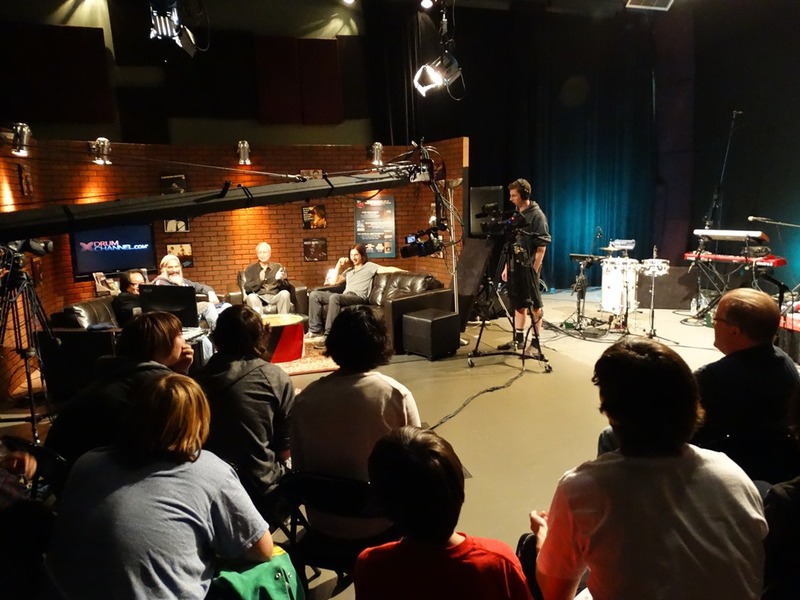 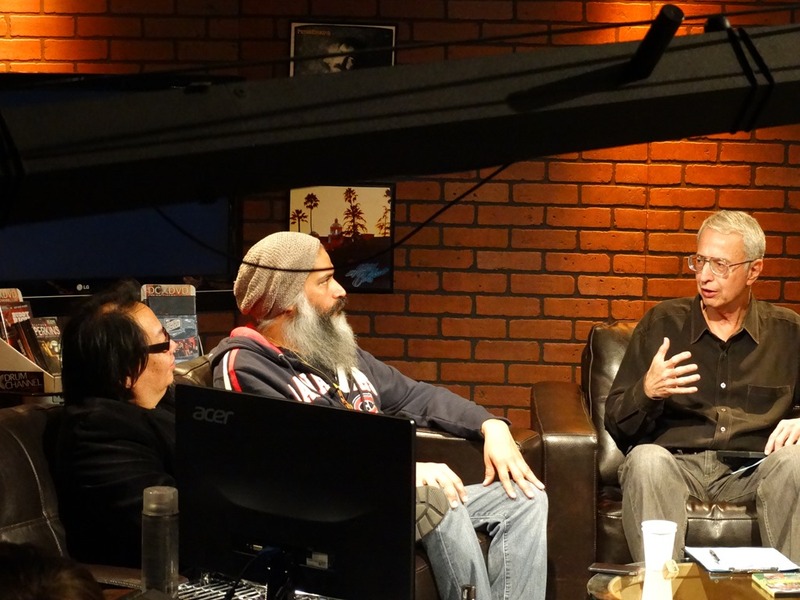 With new media outlets in the works, along with new features on the DC shows and the upcoming Rock Science Drum Channel game, Don Lombardi has some big things in store for the Drum Channel in 2014. 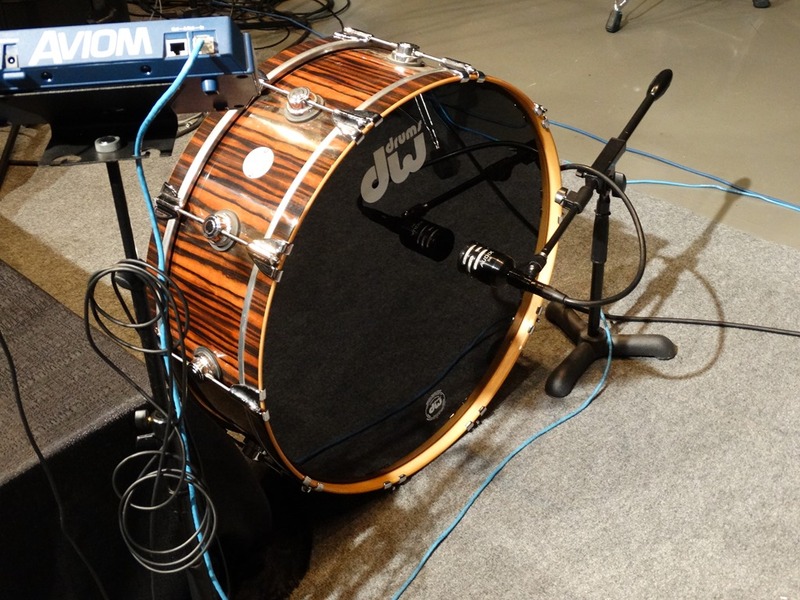 Reblogged this on DEAN ZIMMER'S DRUM ADVENTURES. 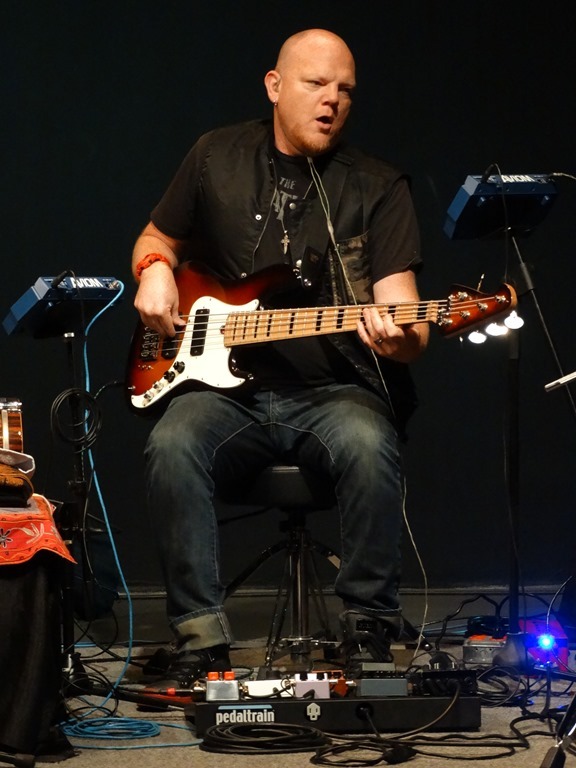 Next Next post: The World’s Greatest Tribute Bands Volume 1 now on iTunes!